As period features go, you cannot beat an open fire. Yes, they are highly inefficient and more messy than a woodburner, but there’s nothing quite like the crackle and fizz of them on a cold winter’s evening. Please don’t just do that. Because taking that approach is a bit like buying a 100 year old car which has been sat in a garage for past 40 years and expecting it to be in perfect working order. There are certain rules governing the installation of new open fires, and these must be followed to ensure your new appliance is safe to use. There are also other practical considerations, as detailed below. Any appliance must have a flue way which is fit for purpose. Many old flues are simply not up to he job anymore. Yes, they may have worked fine years ago, but they can and do leak. Decades of soot deposits can damage the internal brickwork and mortar. Some flues may have been altered. Finding old backboiler pipes, and other utilities, in old flues is quite common. 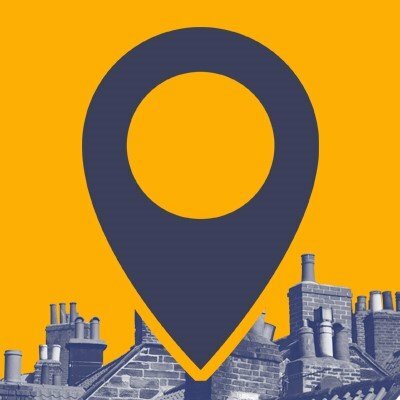 This is a serious matter because leakage could cause carbon monoxide poisoning, not only in your own home, but also next door if you are in a terraced or semi detached property. The only way to check the integrity of a current flue is by getting it swept and then undertaking a Pressure Test. Please be aware that simply throwing a smoke pellet into an open chimney is NOT a pressure test. A large number of old flues don’t pass a Pressure Test and, even if they did, you could repeat the same test tomorrow and they may fail. Old flues can and will lose their integrity at some point. Given the above, it’s usually wise to have an old flue relined before being put back into use, regardless of whether you decide on an open fire or a stove. Building Regulations state that the diameter of a stainless steel liner serving an open fire must be a minimum of 8 inches. Dropping one of these down a standard 9 inch by 9 inch chimney is so fraught with difficulty that most installers won’t even attempt it. If you’re wanting a ‘dog basket’ style open fire, the cross sectional area of the flue will inevitably need to be bigger, otherwise the fire will choke and blow back smoke into the room – the general rule is the bigger the opening into the room the bigger the flue width needed (and ventilation requirements – more about that later). All this means you’re probably looking at a cast-in-situ liner, and there are number of these solutions on the market. They’re not cheap but if you’re desperate to have an open fire come what may, then you need to seriously consider it. In comparison, the flue dimension requirements for stoves and woodburners are smaller (some appliances can run on 5 inch liners), hence why most installers will advise you to get a stove rather than an open fire. Newly installed/retro fitted open fires require additional ventilation into the room. This usually comes in the form of an airbrick. The reason is that open fires need much more air to work, so an airbrick is a legal requirement. Stoves up to and including 5kw do not need additional ventilation if they are installed in a property built before 2008 – again, another reason why stoves are more popular. By now, you’ve probably heard that open fires are hugely inefficient. Under current regulations, you cannot replace an appliance with one which is less efficient. So, for instance, if you bought a house with a modern, super-efficient woodburner but think it looks out of place, and want an open fire back in, then you can’t … because it is more inefficient than the appliance already installed. A little known fact but one worth bearing in mind. You need to check with your local council to see whether your property is in a Smoke Control Zone or not. If it is, then you cannot burn wood or housecoal on an open fire. You will be restricted to smokeless fuels. If you wanted to burn wood, then this can only be done on a DEFRA-exempt stove. Remember, this, is a merely quick guide on the types of things you need to consider when looking at installing an open fire. It’s not as if it can’t be done, if you have the correct flue, but there’s a few more hurdles you need to negotiate than if you were simply getting a woodburner or multi fuel stove. If you’re still keen on an open fire, my advice is to contact your local, professional chimney sweep who will be able to advise you. 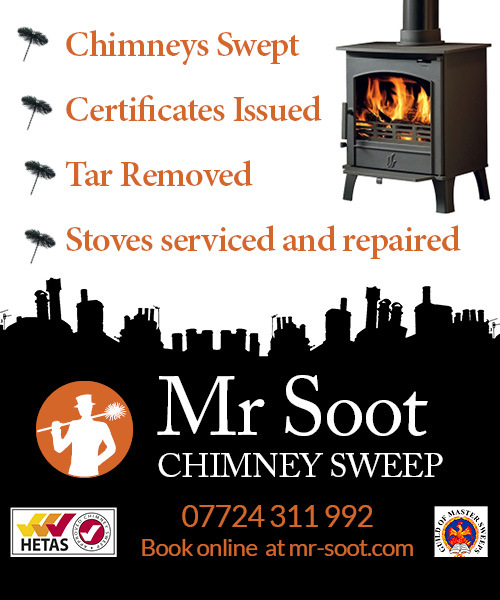 After all, every chimney is different and your local sweep will be able to give you bespoke advice. Getting your current flue swept is the first step as your sweep will be able to advise on the type of flue you have, its general condition and whether there are any current issues with the flue which need to be tackled before you can start thinking about an open fire.